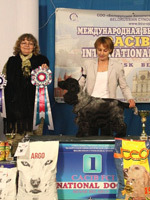 IRISKI'S YANTAR SUN SHARD - JCAC, BOB, BIG-2 / JCAC, BOB, BIG-1 ! 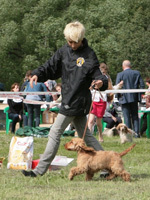 Junior Russian Champion! 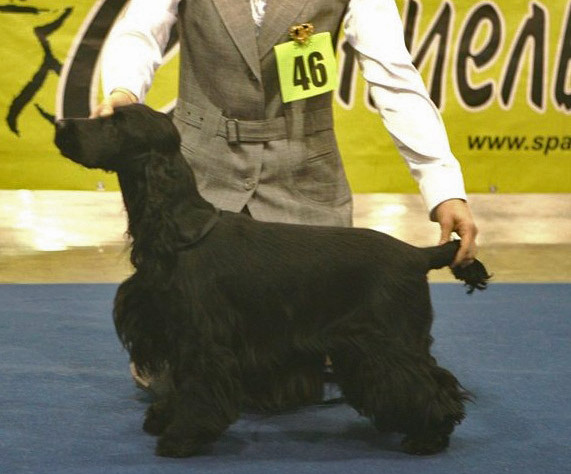 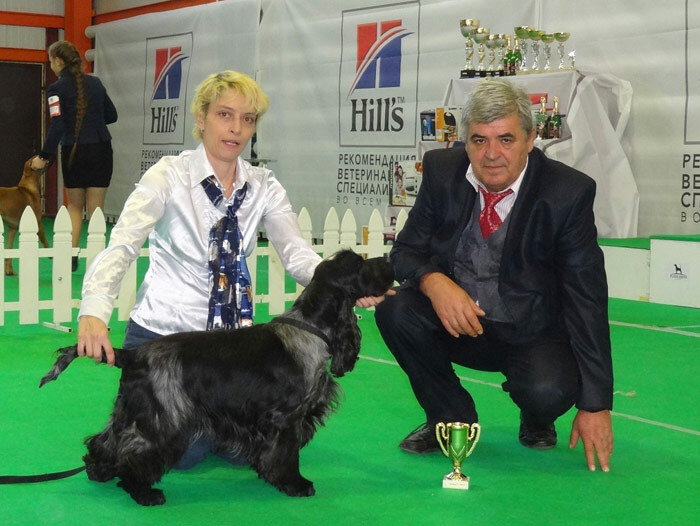 IRISKI'S BORN TO BE HAPPY - JCAC, Best Junior/ JCAC, BOB, Junior Russian Champion! 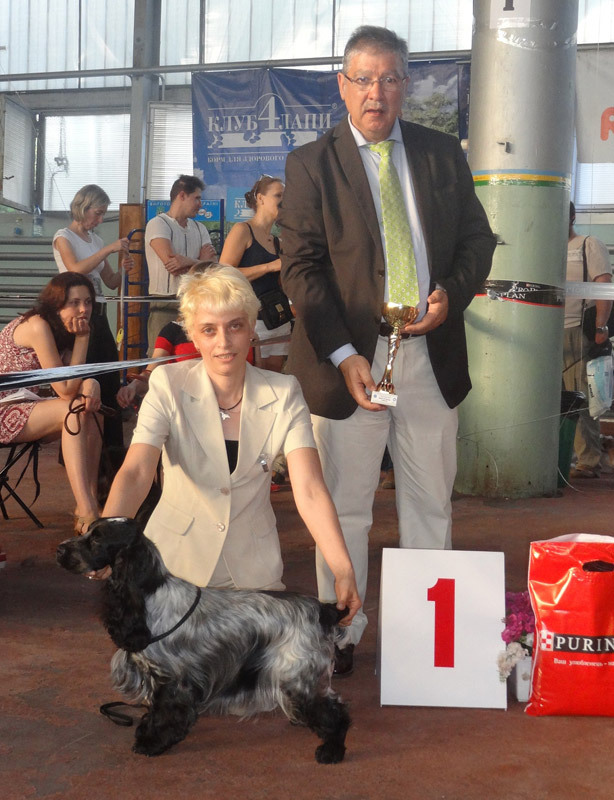 IRISKI'S YATAGHAN OF VICTORY - JCAC, Best Junior, Russian Junior Champion! 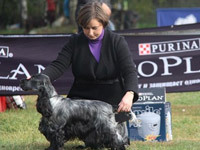 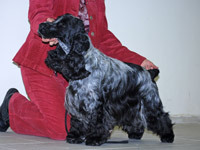 IRISKI'S BOLTON PREMIER LEAGUE (Bencleuch Born To Be The Best - Bencleuch Born To Party) - 1 place (puppy class), BEST PUPPY! 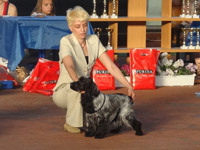 Congratulations to Kate and Balto! 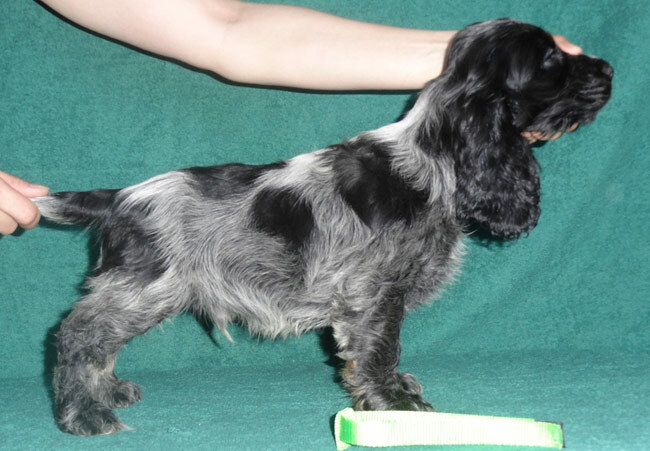 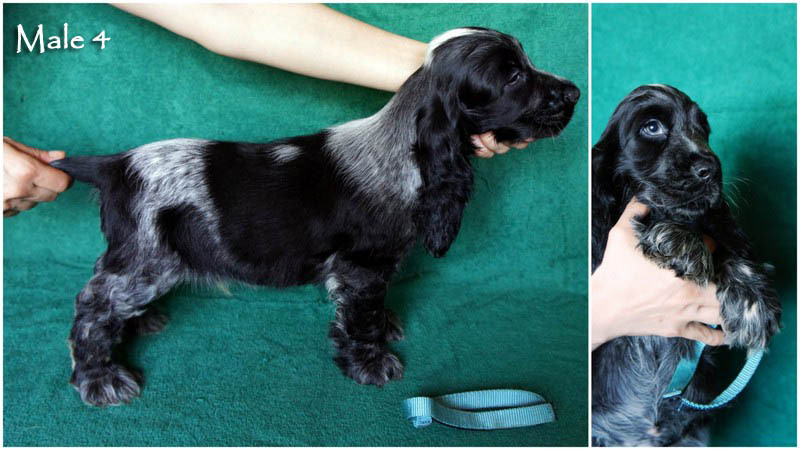 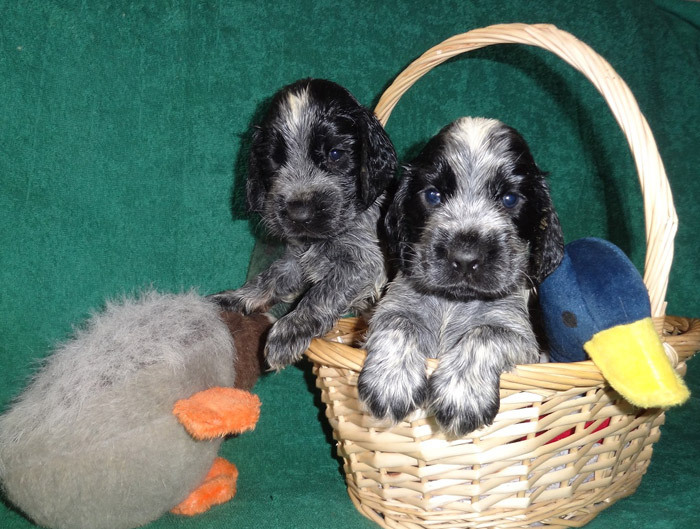 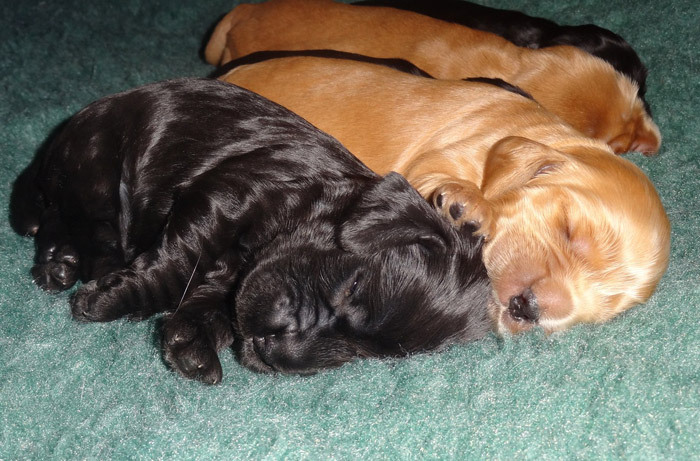 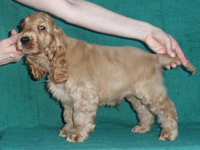 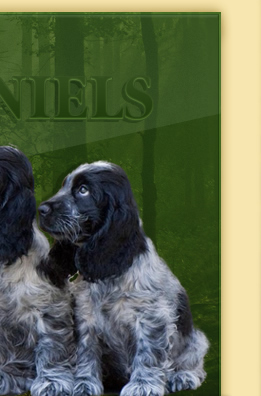 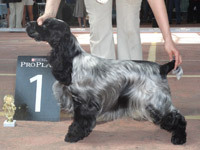 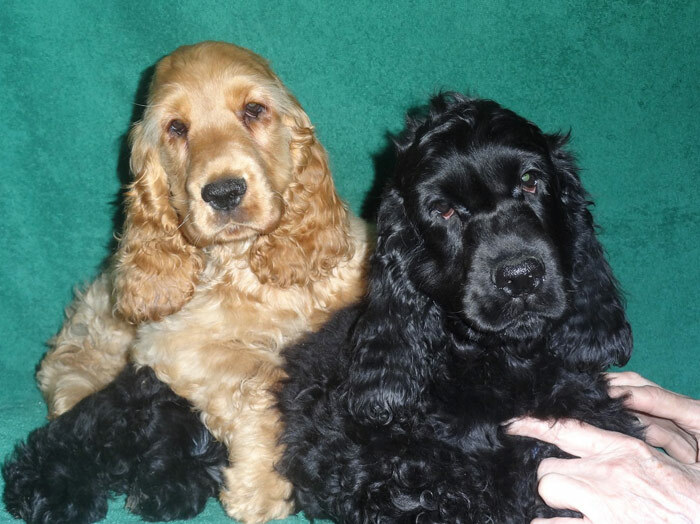 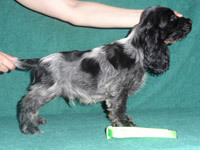 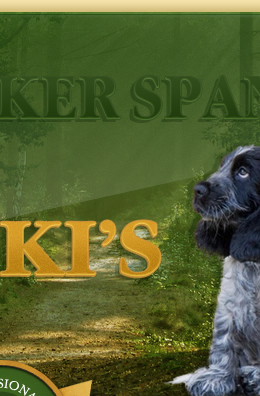 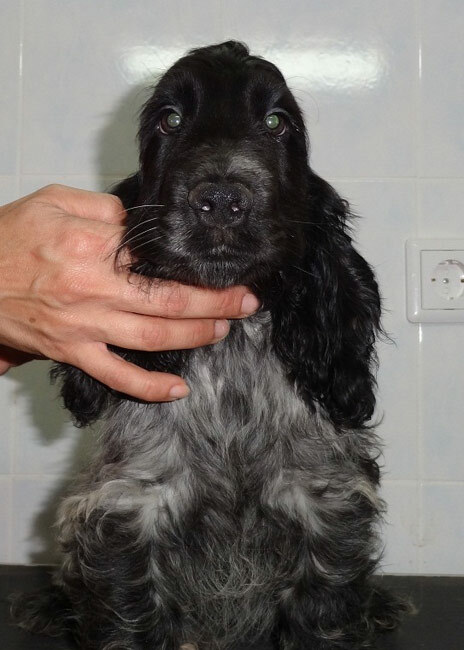 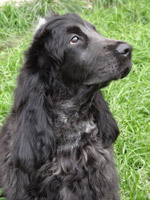 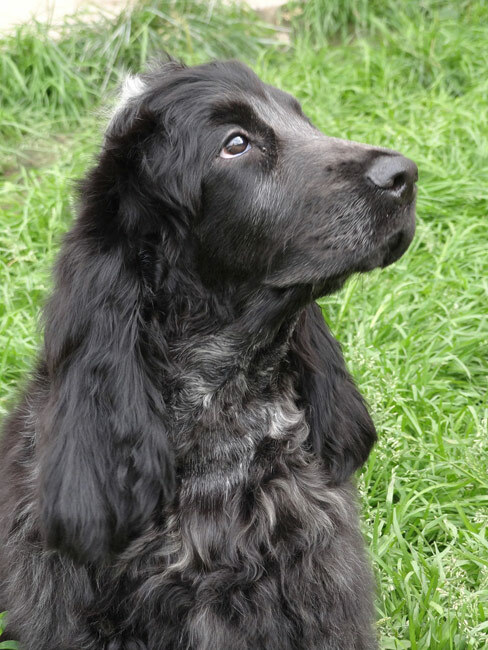 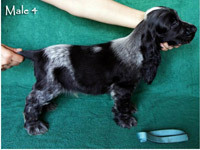 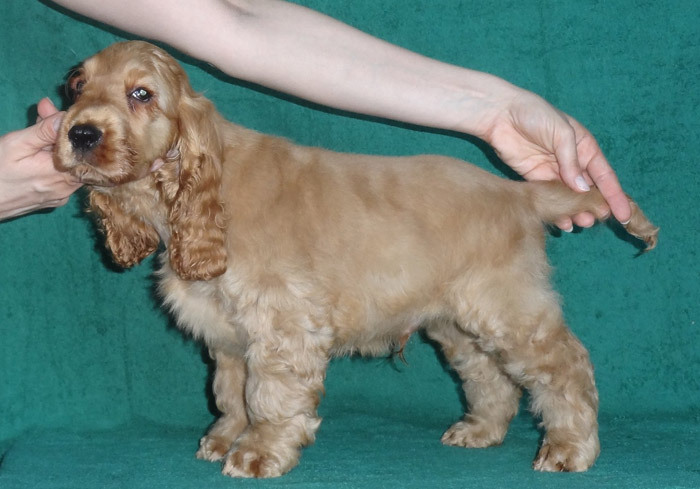 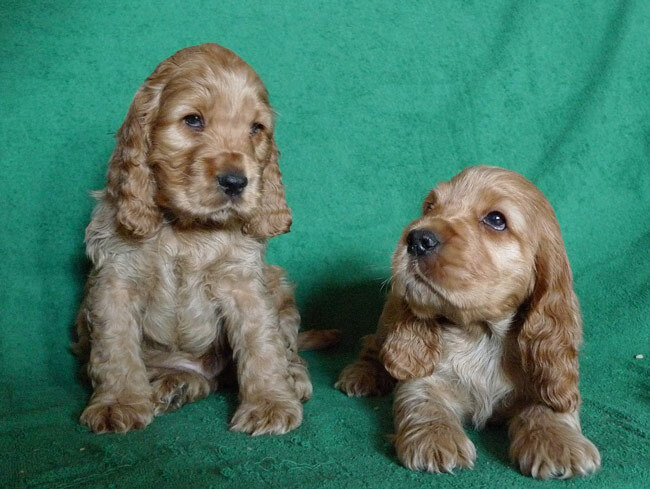 IRISKI'S BOLTON PREMIER LEAGUE (Bencleuch Born To Be The Best - Bencleuch Born To Party) - BEST PUPPY! 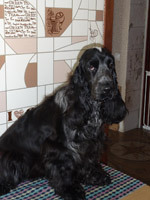 Iris is almost 6 years old! 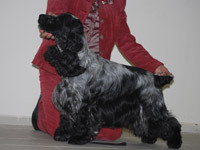 BENCLEUCH BEYOND THE MIST x LINDRIDGE STAR QUEST. 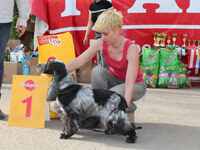 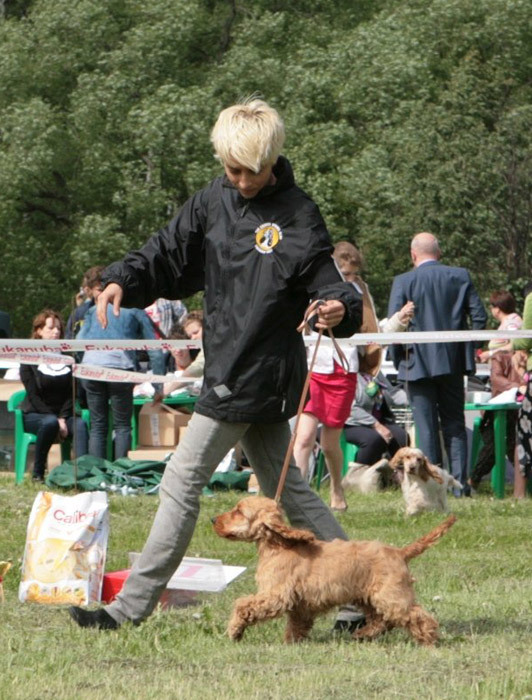 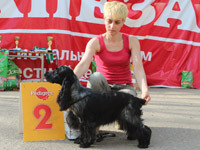 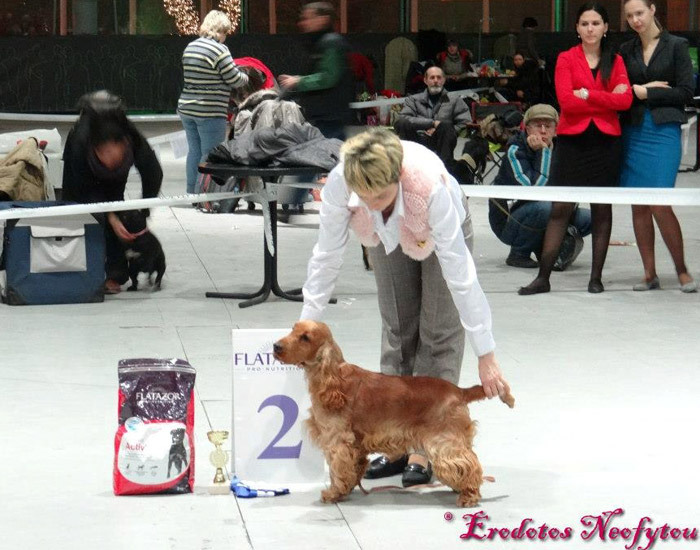 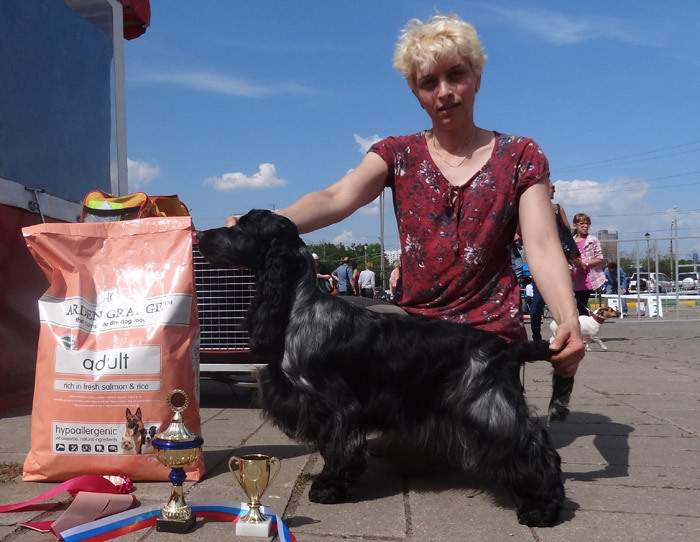 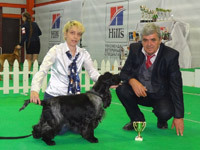 LOVE STORY STYLE OF MARY - JCAC, BOB, Young Russian Champion! 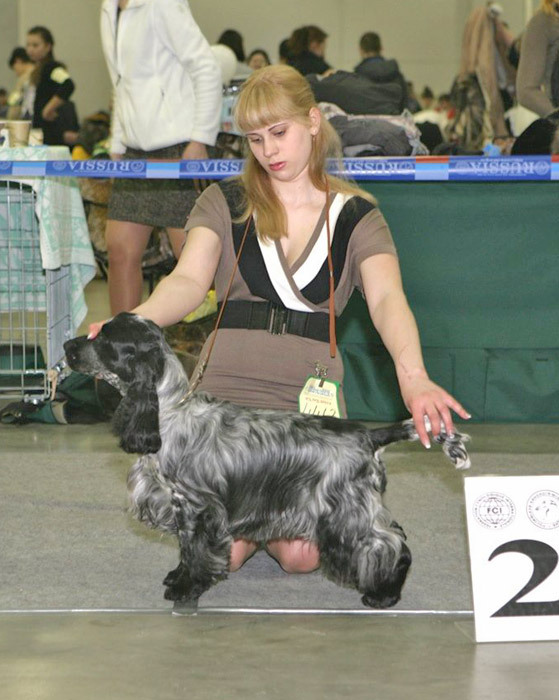 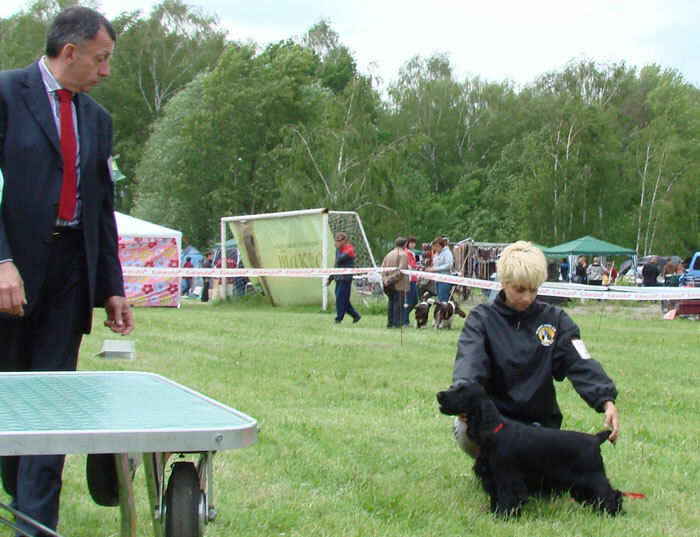 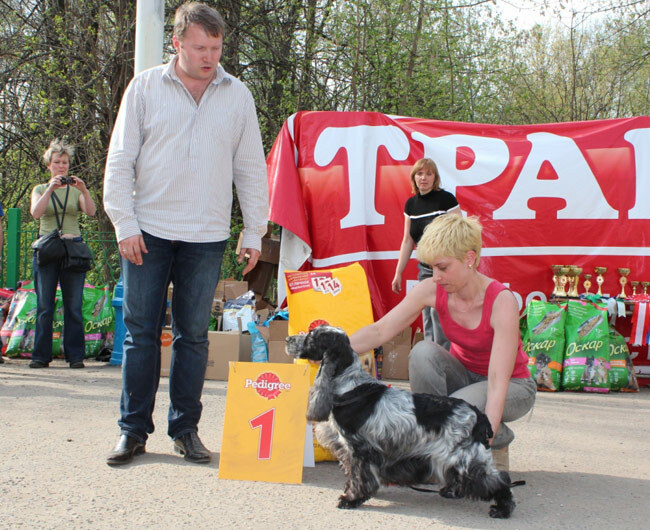 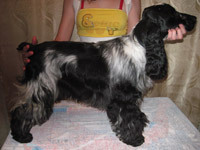 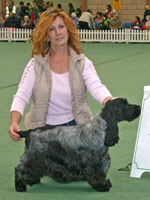 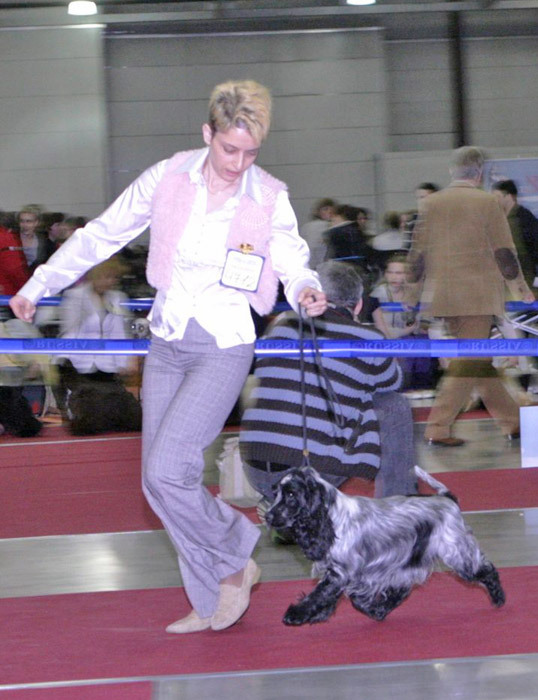 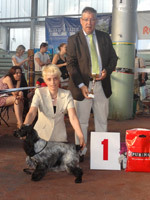 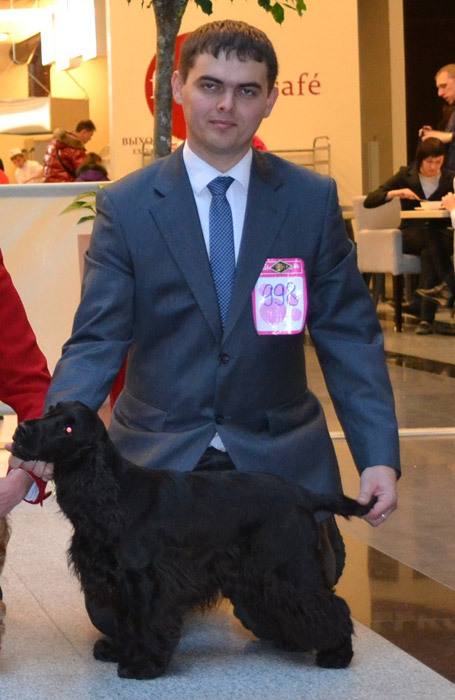 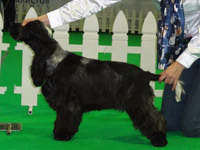 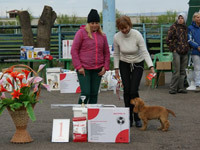 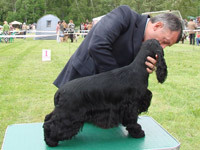 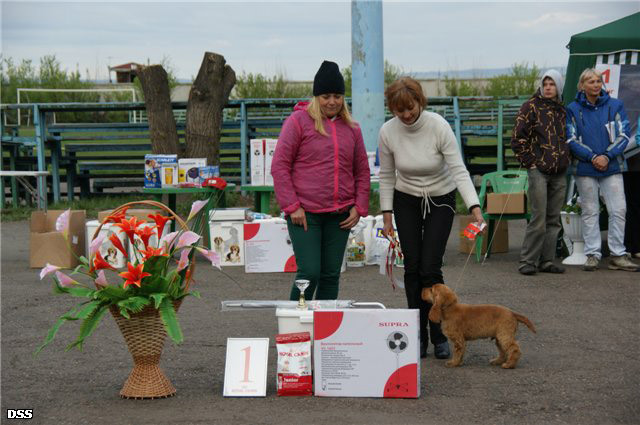 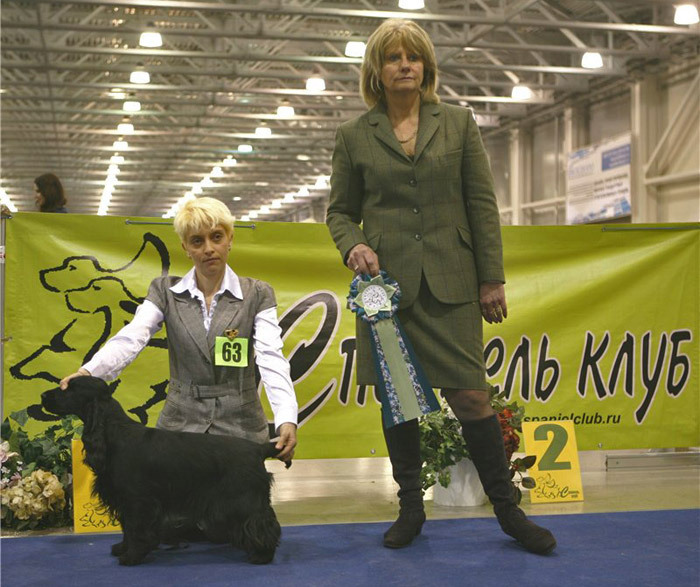 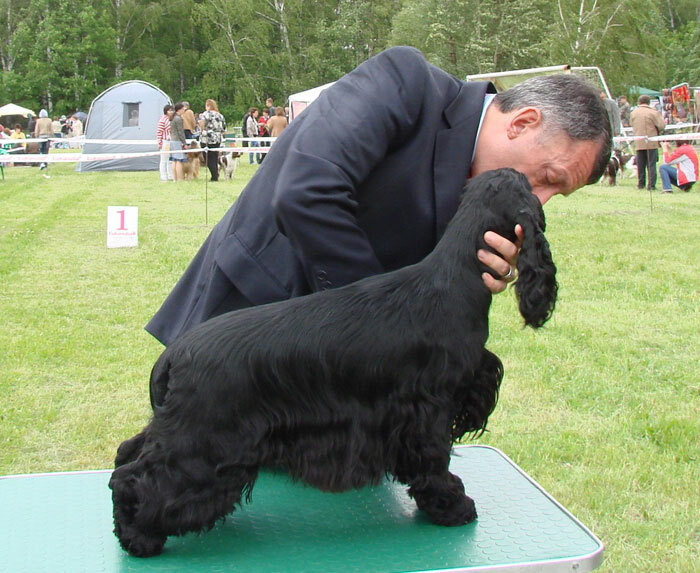 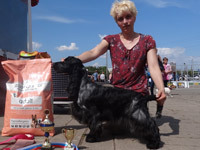 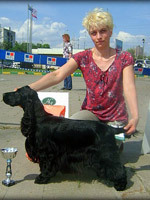 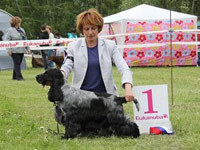 IRISKI'S YATAGHAN OF VICTORY - (own.Polyanina, Krasnoyarsk) - Best Baby Breed, Best In Show Baby - 1! 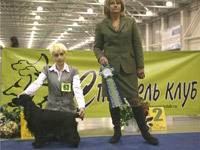 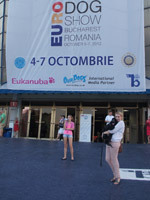 Congratulations to Irina and Luchik with successful debut! 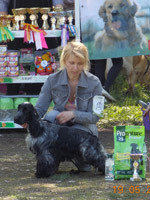 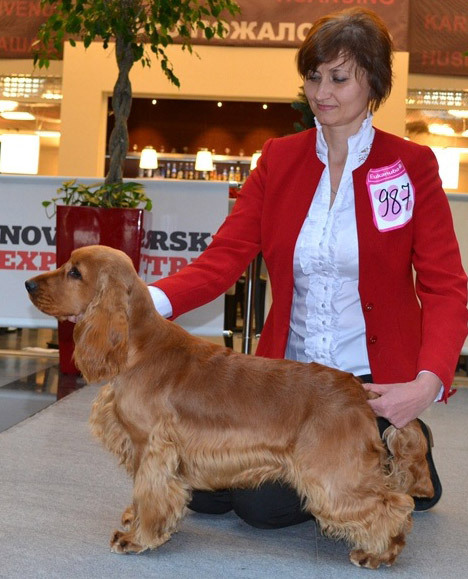 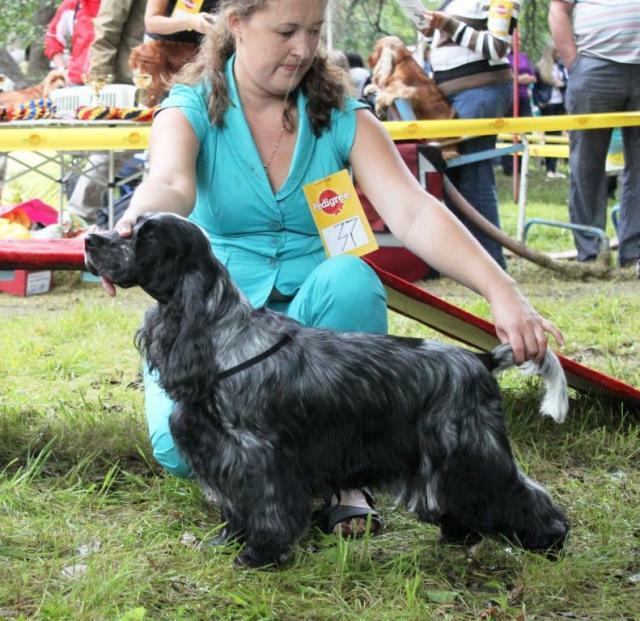 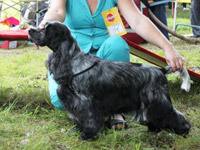 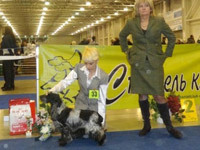 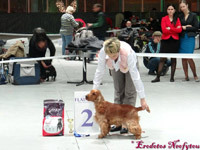 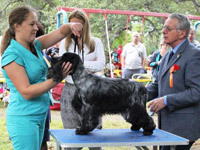 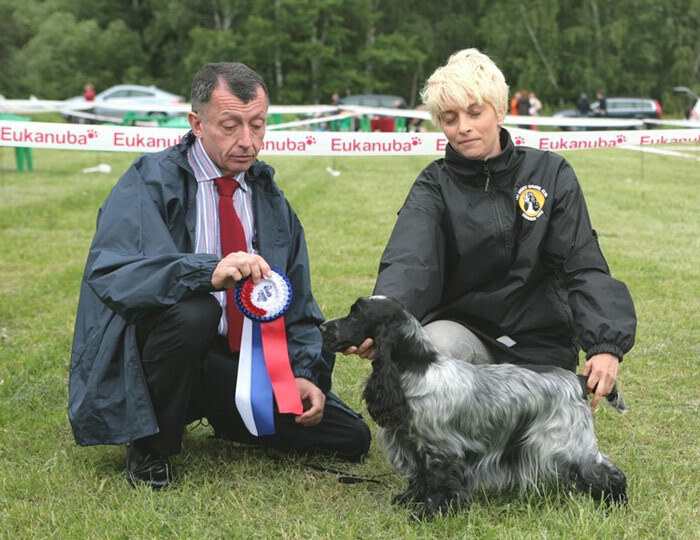 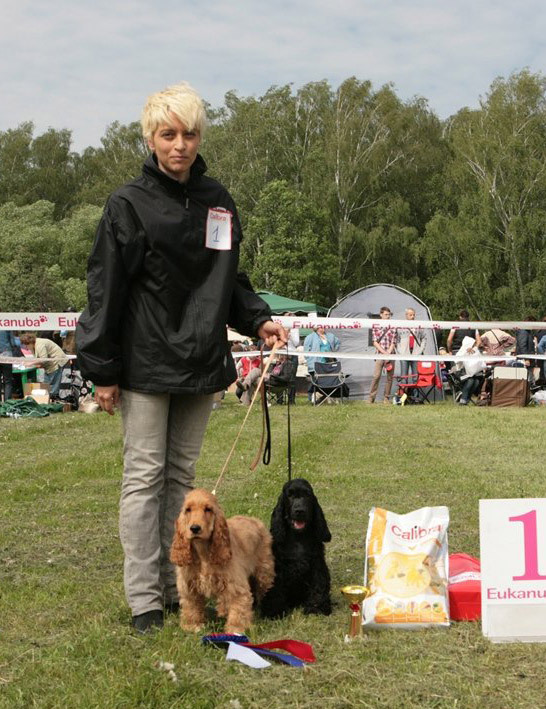 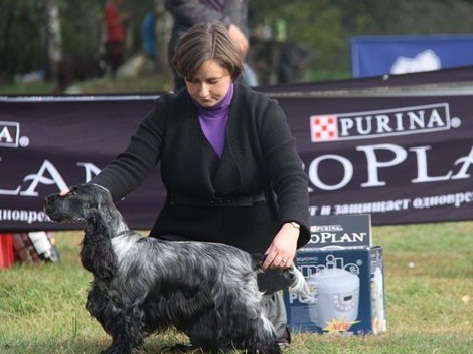 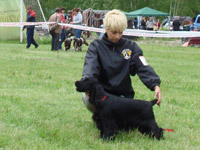 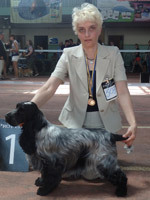 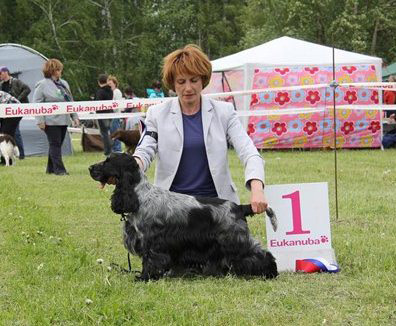 BENCLEUCH BELLA GIO - CAC, Lithuanian Champion! 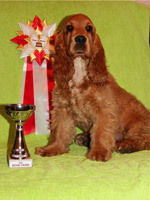 BENCLEUCH BEYOND THE MIST - САС, Lithuanian Champion! 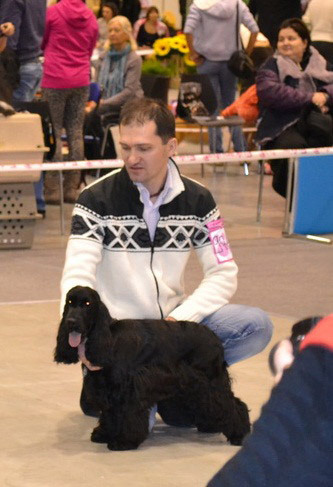 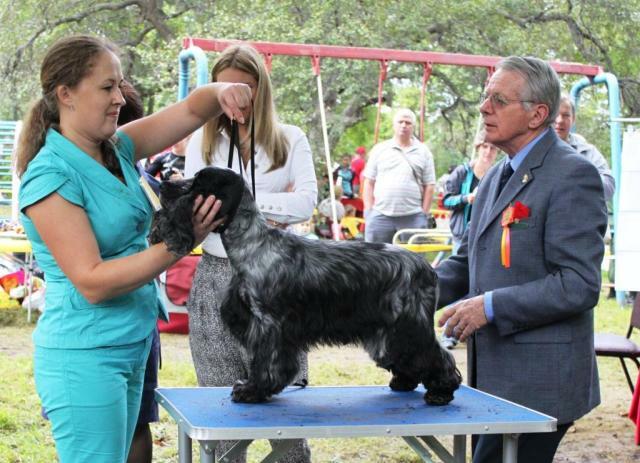 IRISKI'S STORM CLOUD - CAC, BOB, BIG-2, Russian Champion! 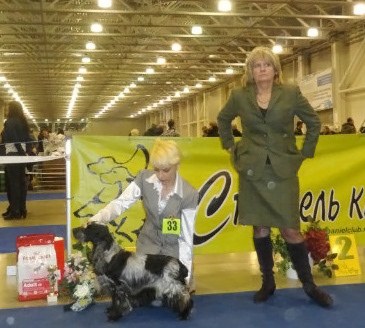 IRISKI'S LA MANCHE (own. 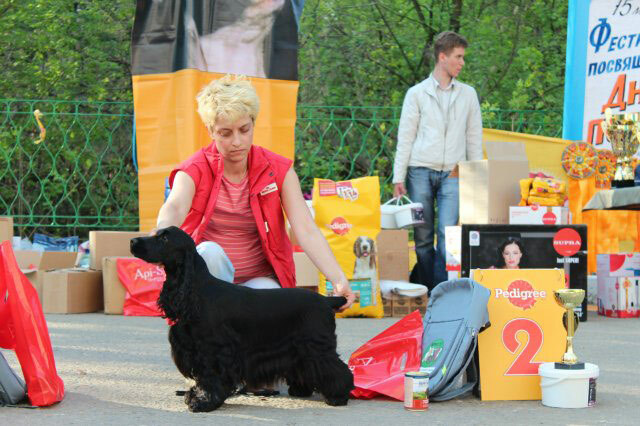 I.Sheina, Pskov) - САС, BOB, BIG-2! 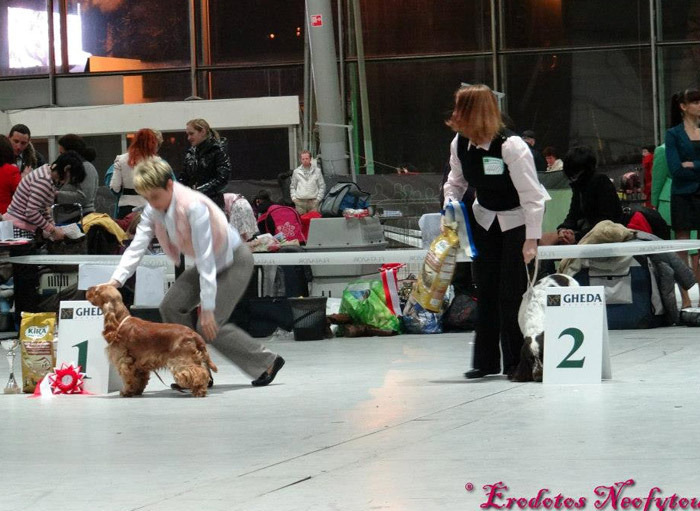 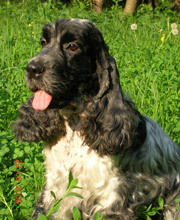 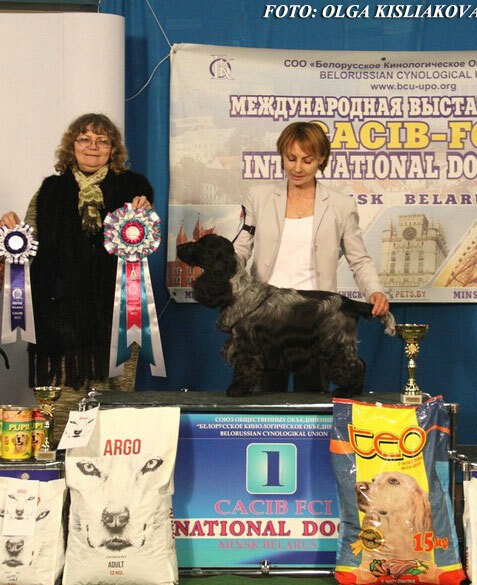 "Belaya Akacija" / "Zolotoy Bereg"
BENCLEUCH BEYOND THE MIST - CAC, CACIB, BOB, BIG-1 / CAC, CACIB, BOB, Ukrainian Champion! 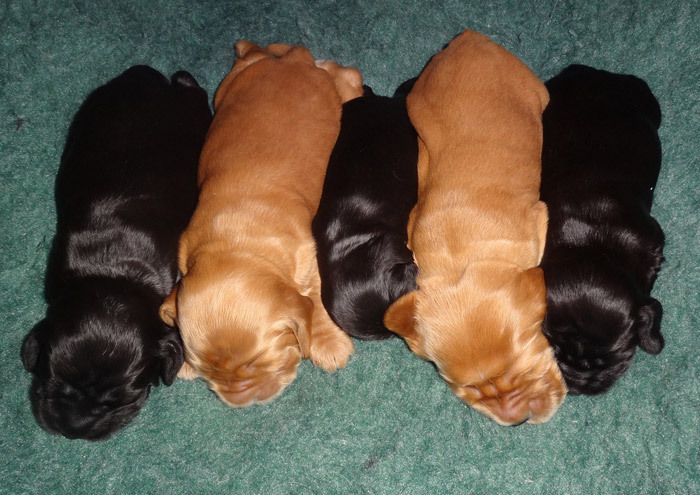 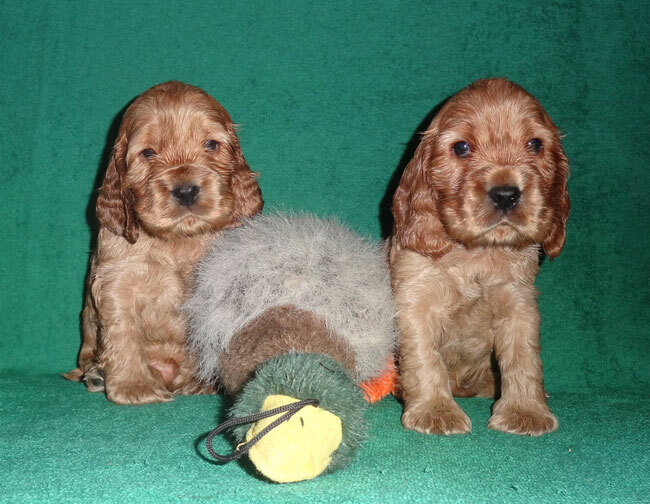 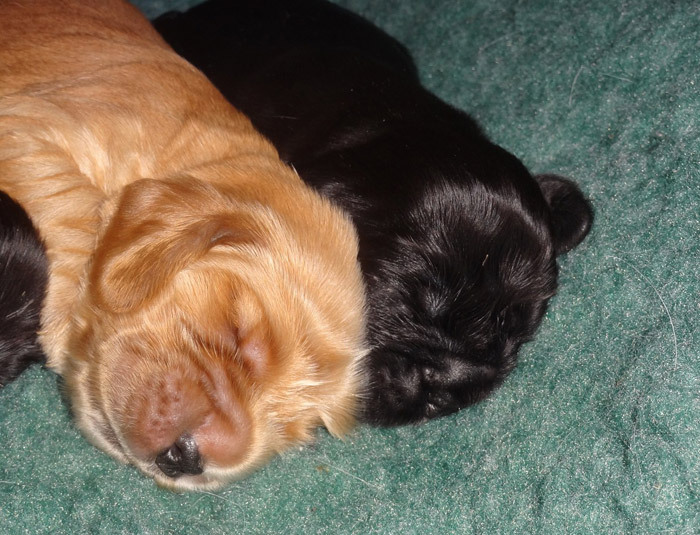 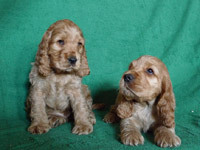 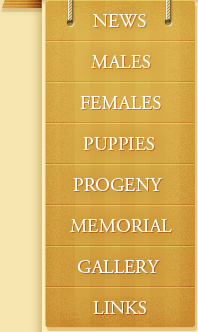 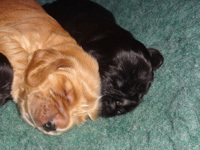 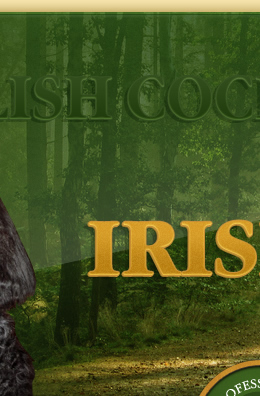 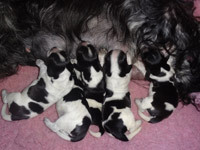 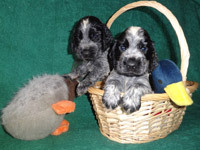 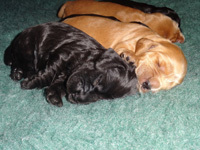 Received genetic tests for prcdPRA of males from litter born 02.03.12. 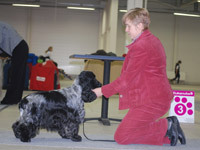 UPPOP DE VACCARES - Best Veteran, BIS veteran-I ! 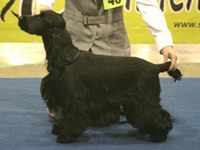 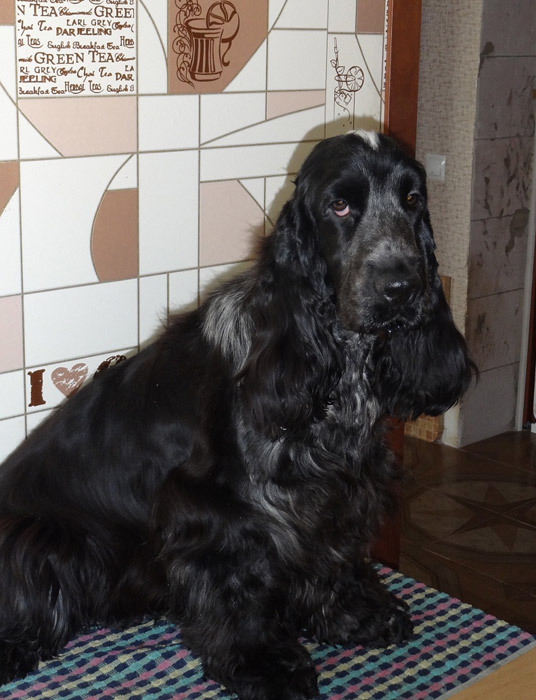 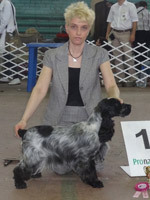 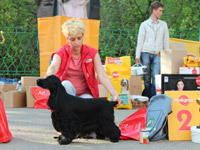 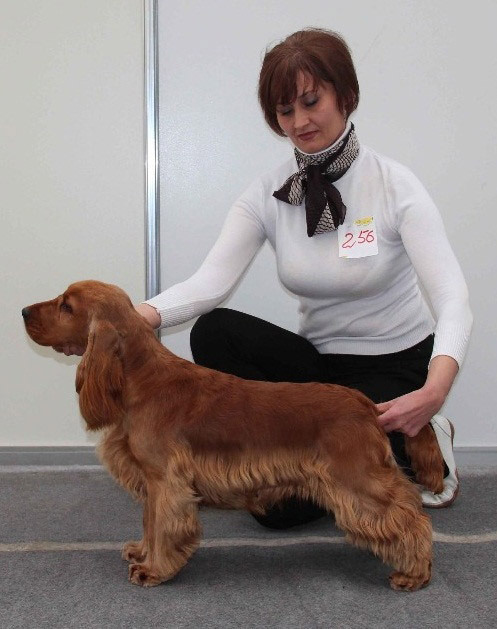 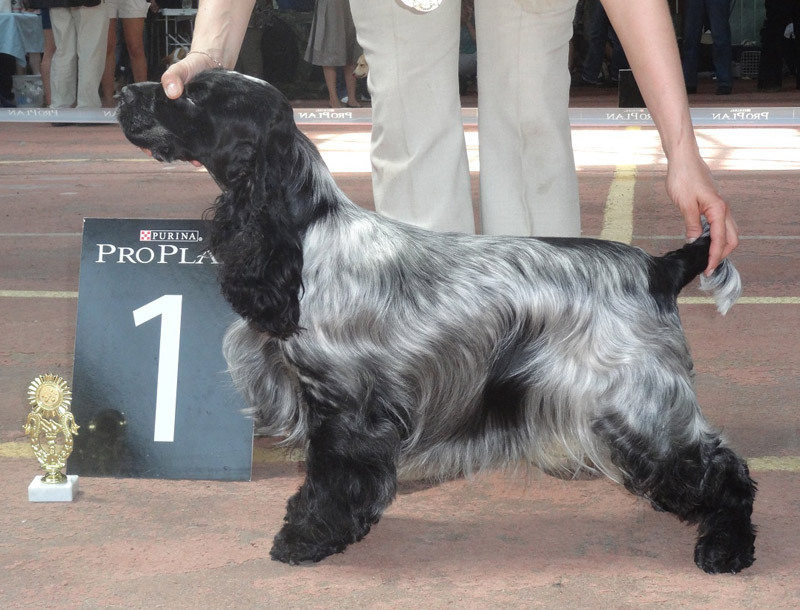 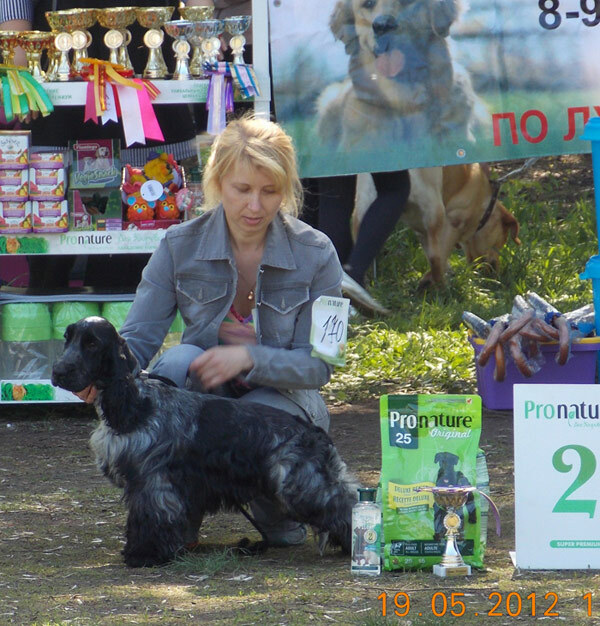 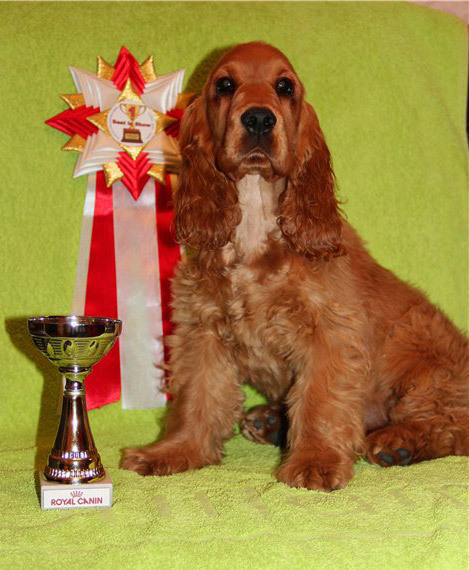 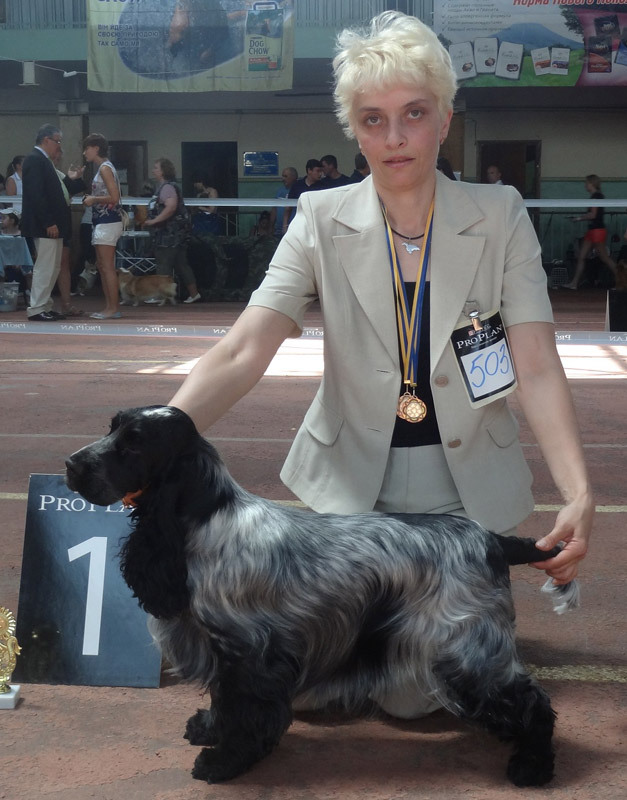 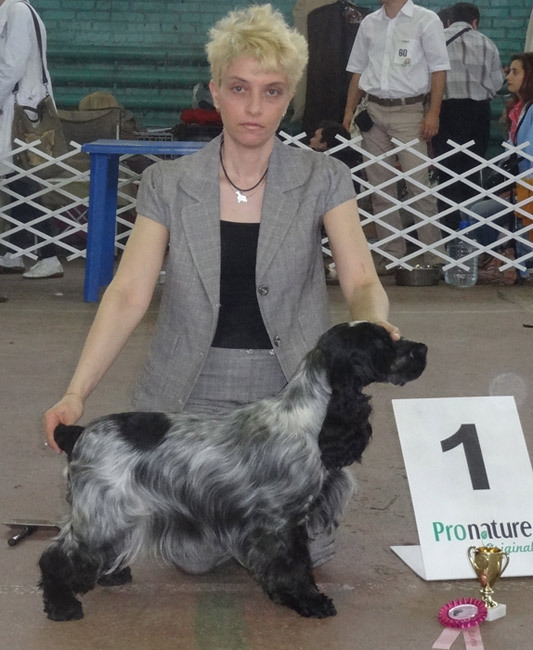 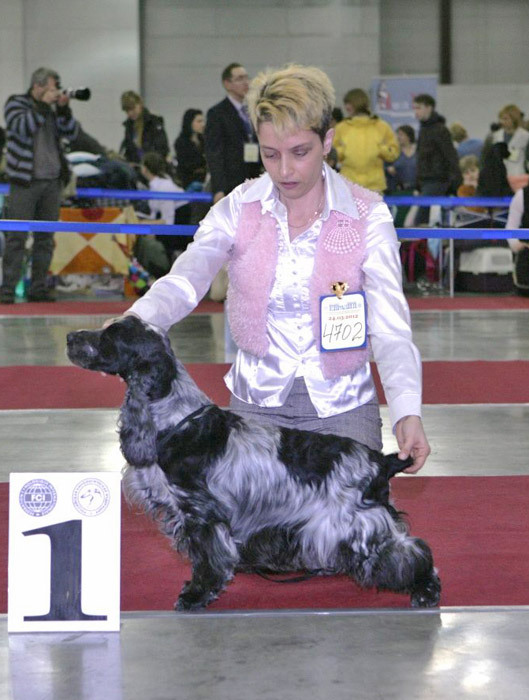 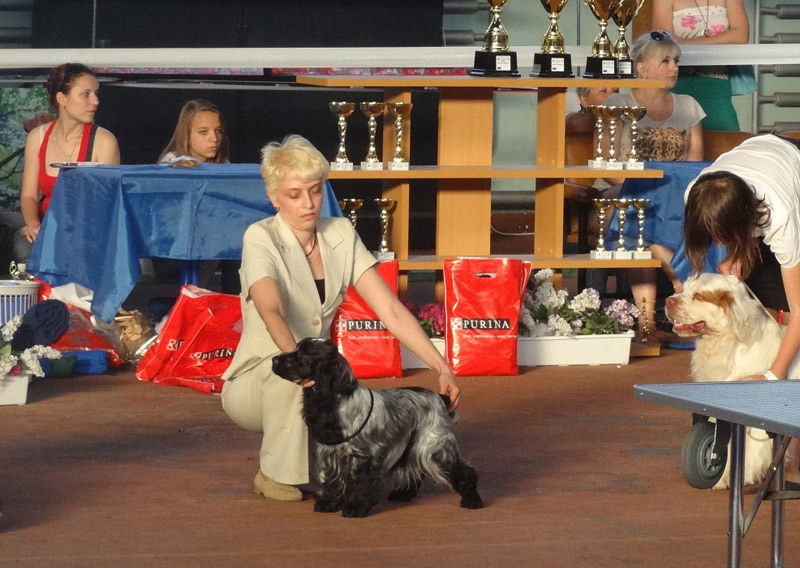 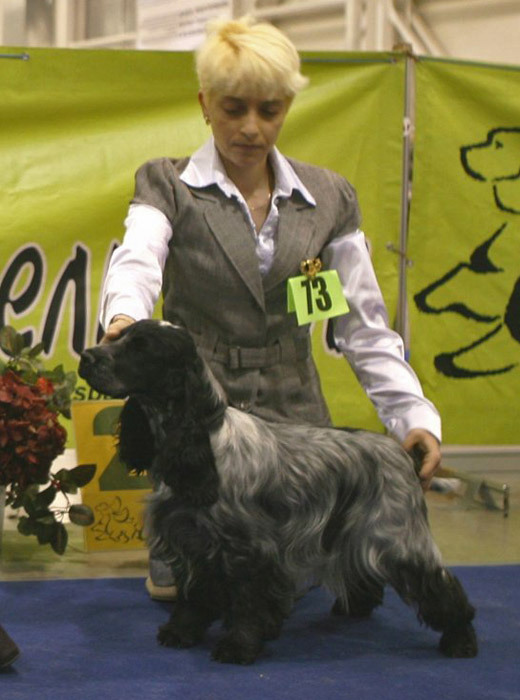 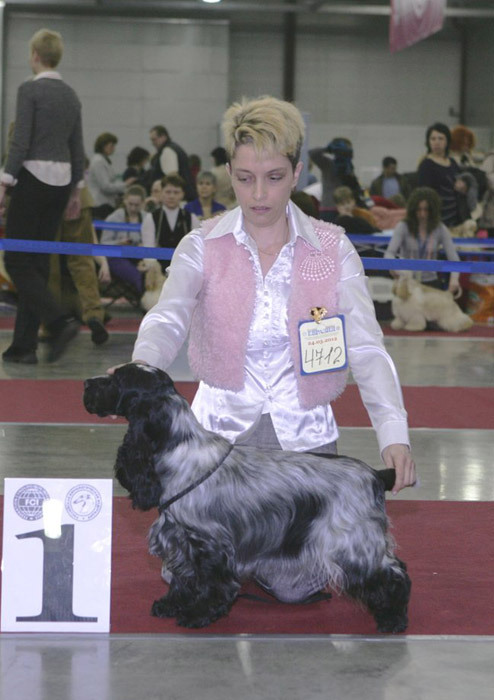 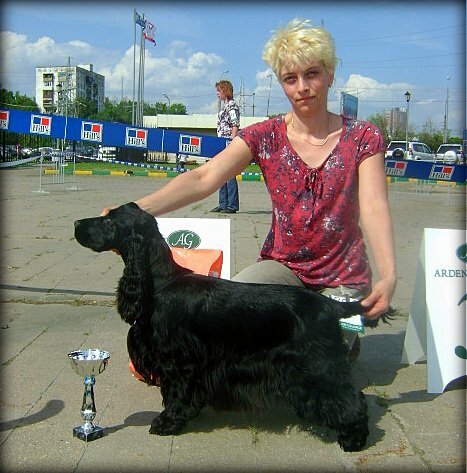 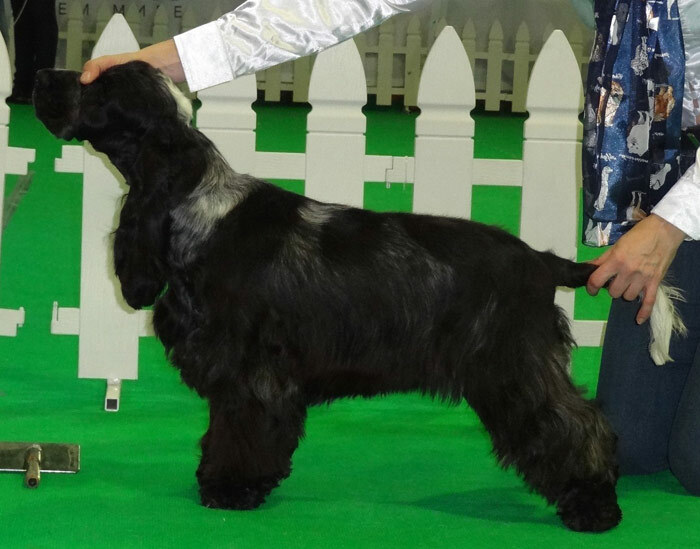 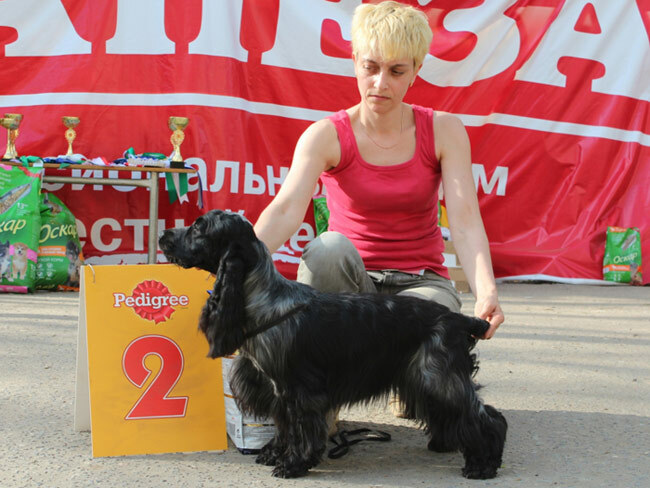 IRISKI'S MISS MOONLIGHT (ow.N.Dudireva, Kirov) - CAC, RUSSIAN CHAMPION! 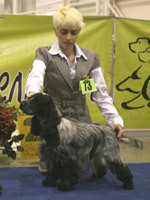 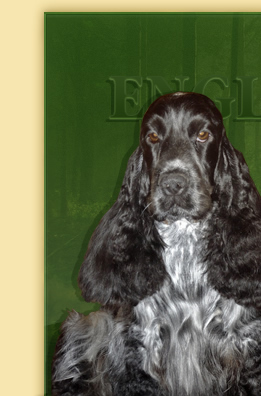 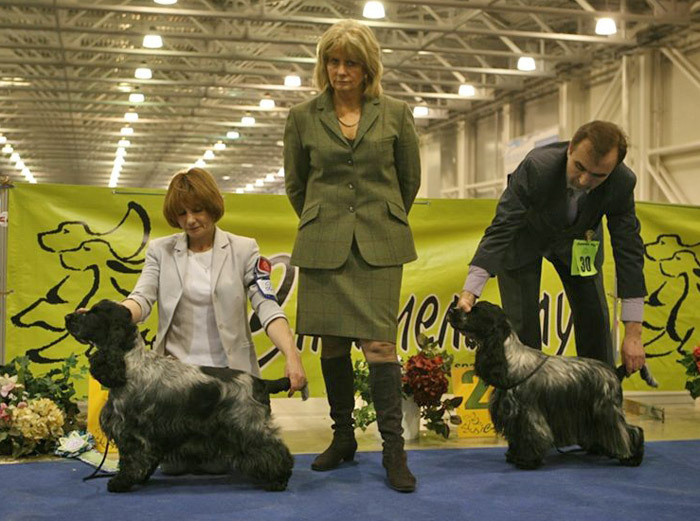 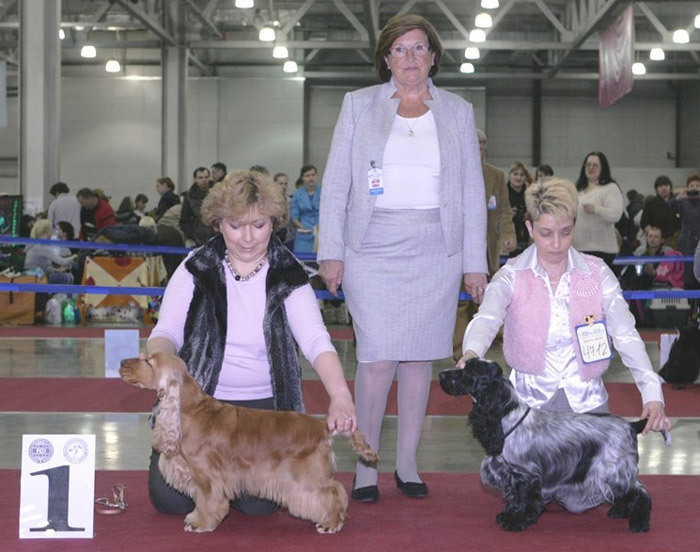 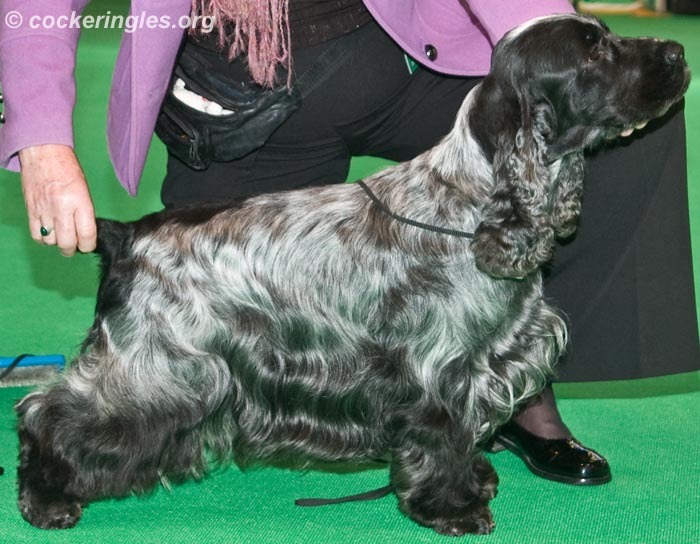 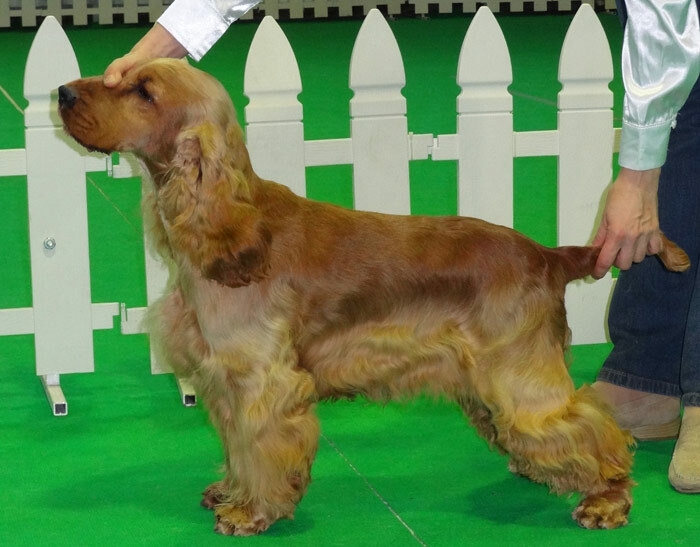 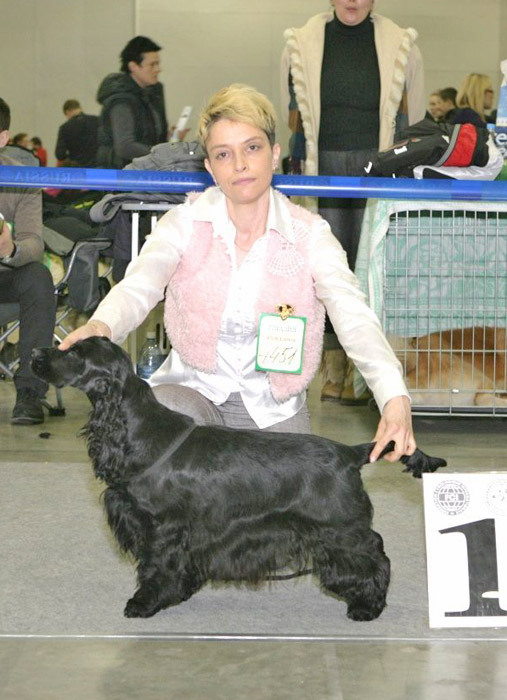 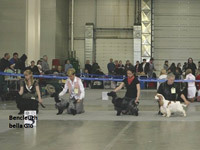 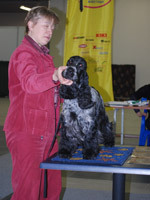 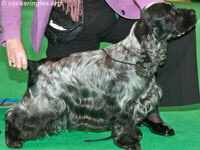 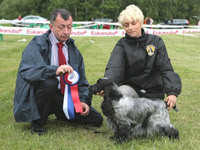 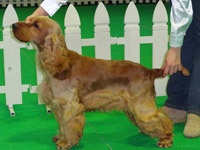 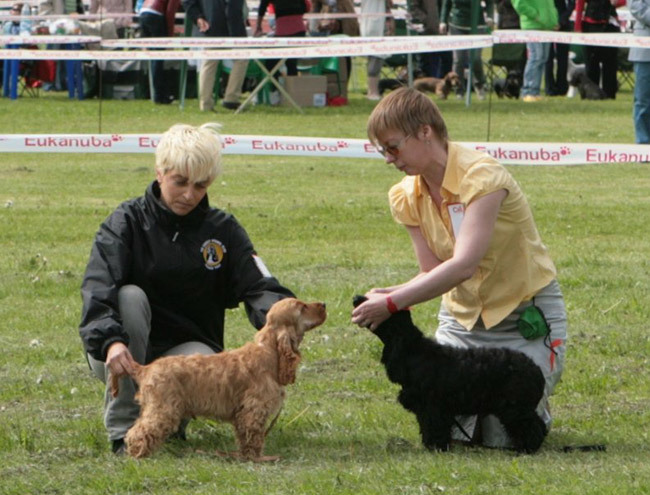 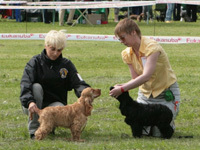 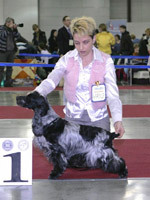 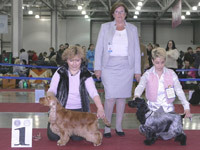 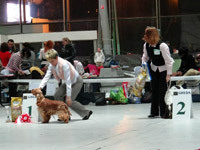 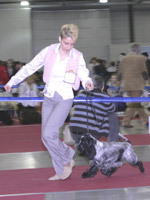 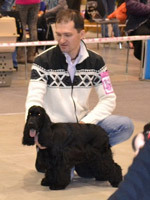 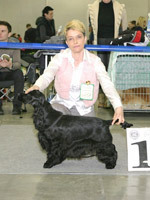 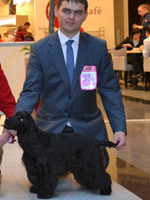 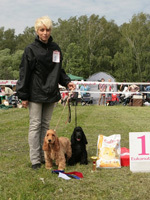 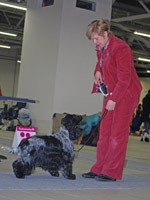 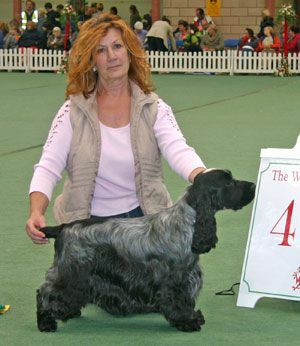 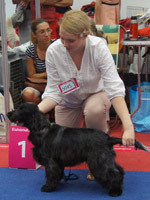 Specialty cocker-show "Championship of spaniel club"
Judge: Frances Jackson (UK), kennel "MOMPESSON"
IRISKI'S STORM CLOUD - "vg"